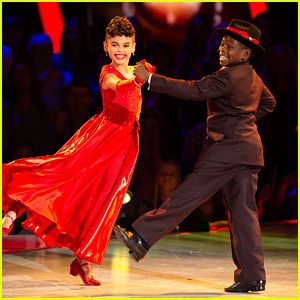 Ariana Greenblatt & Artyon Celestine Amaze With Salsa Number on ‘DWTS Juniors’ – Watch Now! | Ariana Greenblatt, Artyon Celestine, Dancing With The Stars Juniors, Television, Video | Just Jared Jr.
Ariana Greenblatt gets lifted up by partner Artyon Celestine for their showstopping performance on Dancing With The Stars Juniors, airing Sunday (November 18). The young team, mentored by Brandon Armstrong, danced a Salsa to “Pintame” by Elvis Crespo, which she picked to give her family thanks. “That salsa was spicy,” judge Val Chmerkovskiy told Ariana and Artyon. Ariana Greenblatt Dresses Up As Mal From 'Descendants' For Halloween Night on 'DWTS Juniors' - Watch Now! 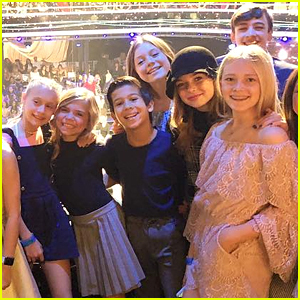 DWTS Juniors: Ariana Greenblatt is The Cutest Little Lilo For Disney Night - Watch Now! Ariana Greenblatt Stops By 'DWTS' Studio With Artyon Celestine! DWTS Juniors: Ariana Greenblatt & Artyon Celestine Go Punk For Their Jive - Watch Now! 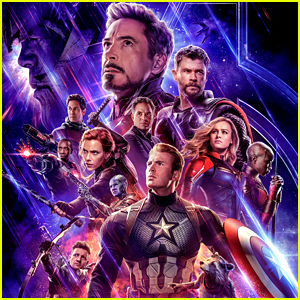 DWTS Juniors: Avengers' Ariana Greenblatt & Artyon Celestine Deliver Super Fun Cha Cha - Watch Now! 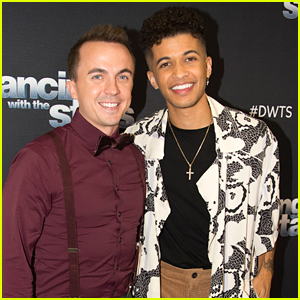 Jordan Fisher To Perform With 'DWTS Juniors' Pros on 'DWTS' This Week!